How is the recent rise of learning science helping inspire the next generation of educational researchers and innovators? 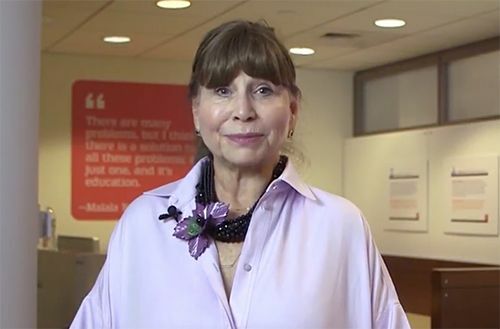 In this video interview, Susan Fuhrman, President Emerita of Teachers College at Columbia University and Bob Feldman of the University of Massachusetts Amherst discuss the evolving role and impact of learning science research in university and K-12 public education. Below are some key moments from their conversation. How do you see learning science relating to what it is that teachers ought to know as they go out to be prepared to teach? Learning science is the frontier, and it’s where education schools and education research need to be heading…We are at the beginning of learning about learning in ways that we couldn’t imagine previously, and of course we have to incorporate that when people learn how to teach and learn how to judge learning and assess learning. How do you think schools will look in 10 or 20 years if we do incorporate learning science into the classroom? Some people might think there will be a lot more technology – which I certainly do think – but I think the main difference will be in how teachers teach. I think learning about the learning sciences means that you appreciate how people learn – the appropriate degree of cognitive load; the social nature of learning; the fact that conversation and experience are what build memory. All those things are aspects of learning science which need to be incorporated into instruction. What do you think researchers should be doing to help support education in a more direct way? I think that education research in general is troubled by many of the attributes of social science research in universities… What’s treasured in the Academy is the unique, the new, and the novel -- and we don’t do nearly enough to synthesize, to aggregate, to replicate so that we can establish a knowledge which we can all agree on. Do you think teachers need to understand more about research and the research process in order to be able to evaluate what they do? They have to be self-aware researchers of their own practice in a way, where they can setup little experiments as they go along and try out different things – in a structured way so they can learn from their varied approaches. And they have to consume research as they go forward – especially now as the learning sciences are really beginning to explode. American society is under a lot of stress right now. What do you see the role of education in terms of addressing some of those concerns that are out there? I’ve always believed that our schools are what make us one country. Our public schools are the foundations, the cornerstones of democracy… I think the ideal of this one formative experience where everybody comes to understand our history working together is essential, and we need to hold that ideal out there. Visit Ideas in Education for more insights from members of our Learning Science Advisory Board.